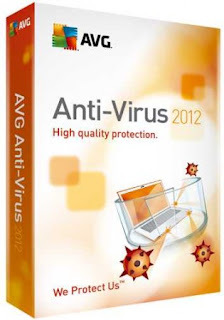 AVG Anti-Virus Free 2012 - quality free antivirus. It provides a high performance computer and download updates to the information on the latest threats. Despite its free, AVG Free Edition has the presence of all necessary features to protect your computer from viruses. Anti-Virus includes the following components: a scanner, monitor, scanner, email, automatic update antivirus databases. • Anti-Virus (antivirus). AVG Free antivirus protects your computer from viruses, worms and Trojans. • Anti-Spyware (antispyware). AVG Anti-Spyware protects your PC from spyware, adware and other malicious software. • Anti-Rootkit (rootkit protection). Components for the Anti-Rootkit can search rootkits hidden in the operating system. • Resident Shield. Resident Shield works in the background and scans all files that are currently performed work. • E-mail Scanner. E-mail Scanner scans your incoming and outgoing email messages. • LinkScanner. LinkScanner provides comprehensive protection for searching and browsing the Internet. Your computer is protected from Internet attacks, and you can determine the security of visited sites. • Identity Protection. Component Identity Protection provides proactive protection against identity theft and security of confidential information. • PC Analyzer. PC Analyzer will analyze your computer to determine the problems associated with registry errors, unnecessary files, errors fragmentation, disk errors and broken shortcuts. • Update Manager. Update Manager manages the automatic updates of free anti-virus AVG, running over the Internet or LAN.